Curve Theatre Leicester. UK premiere of The Troth by Akademi dance theatre. – East Midlands Theatre. 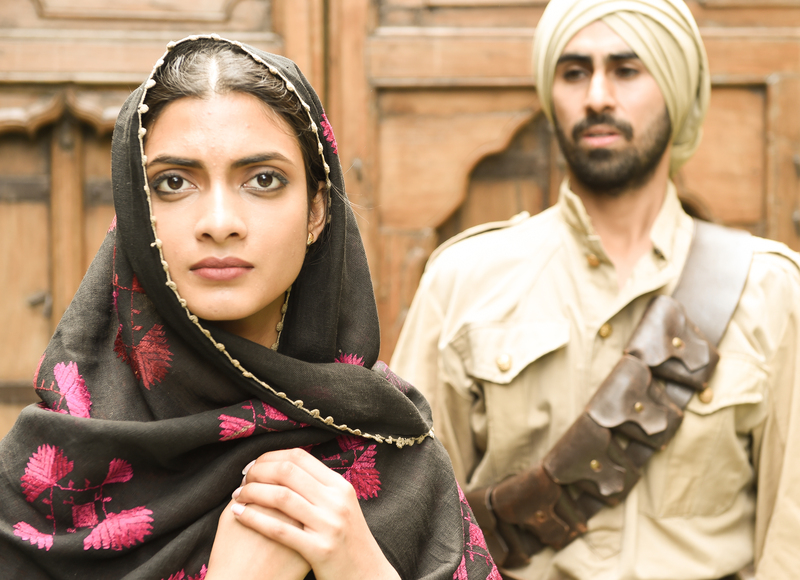 Through powerful dance theatre, The Troth tells a story of love, loss and sacrifice against the backdrop of the horror and conflict of World War I. Inspired by film noir and the era of black and white films, The Troth weaves its poignant narrative through dance, music and film. For The Troth he collaborates with dramaturg Lou Cope to tell the soldier’s story, using archive wartime footage and new subtitled films by Josh Hawkins to unfold the narrative. They set the scene for viscerally powerful dance from six dancers of diverse backgrounds and training within an evocative soundscape created by BASCA award-winner Shri Sriram who laces his original composition with sounds from World War I and Indian folk music. The cast includes Kathak dancer Vidya Patel, finalist in BBC Young Dancer of the Year 2015 who has recently performed to great acclaim with Richard Alston Dance Company. Mira Kaushik OBE, Director of Akademi, says: “Usne Kaha Tha is a classic of Hindi literature, loved by millions. Our production will be a powerful ‘living silent film’, and is Akademi’s first theatre show after nearly 20 years of primarily outdoor performances. This Indo-UK artistic collaboration has galvanised partners from both countries – including Arts Council England, British Council, the Government of India’s Ministries of Culture and External Affairs, and the British Army – to reveal the vital contribution made by Indian soldiers to World War I”.